Product Claims–Color Stay Nail Color formula is fortified with unique ingredients that provide high impact color and gel-like shine in fashion forward range of shades and finishes. This technology is based on a unique combination of resin and high molecular weight polymers designed to provide flexible, shatterproof color with excellent color retention and gloss. Product Description-Color stay long wear technology instantly wraps nails in a shatterproof shield of color, timeless, yet trend driven shade palette selected for long wear, visible light curable resin to seal in days and days of chip-resistant color. 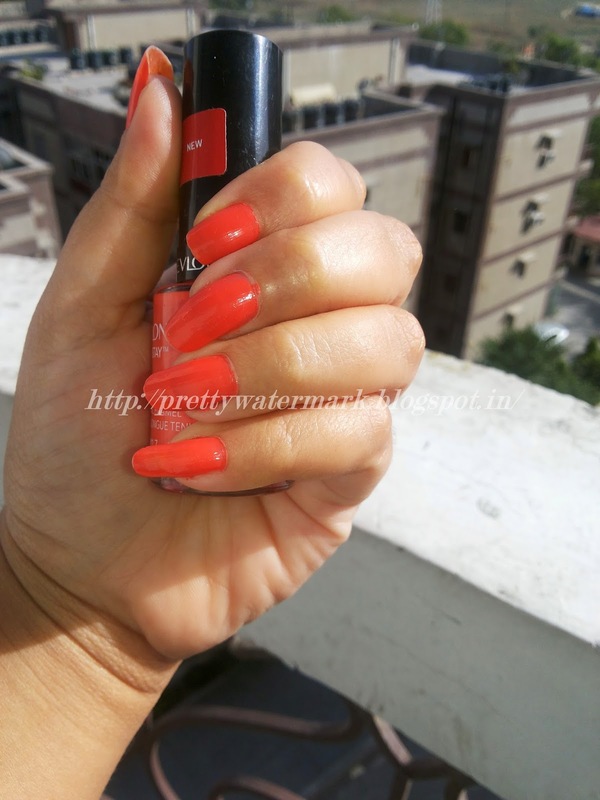 My Take On The Product- Its a bright tangerine orange color ,suits all skin tone.The quality of the nail paint lives up-to the expectation of one,the nail paint brush is fairly good,it has smooth consistency ,dries up quickly and last up-to 4-6 days ,its a stand out color,people will definitely check out the color ,when applied. 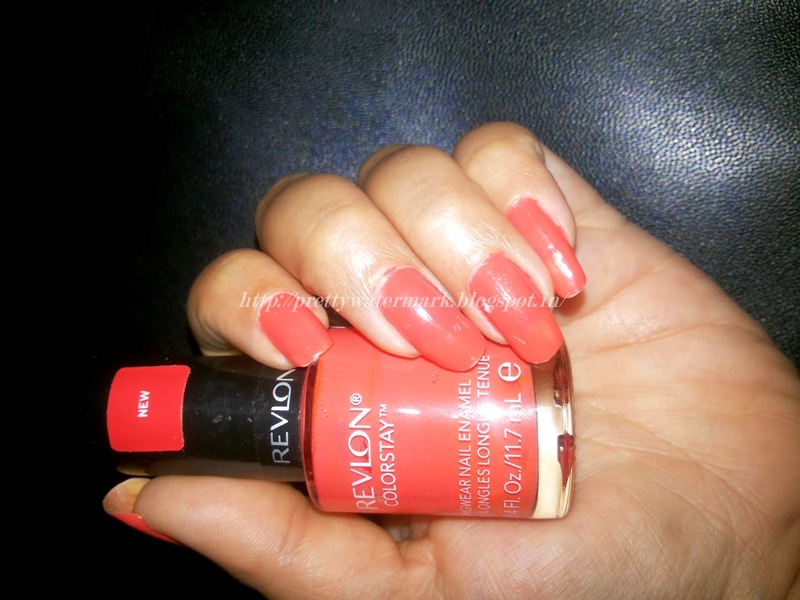 Its a bright color ,specially designed for Summers ,the color is a stunner. Double graduate. MCA pass out. Moody, lazy, shopaholic, foodie, coffee freak & friendly, that sums up almost everything about me. Founder & author of PrettyWatermark. Baby Colic – what it is, why it happens and what you can do about it?